Non-refundable after September 28th but may be transferred by the end of business on October 5th. Registration and payment due no later than 10/5/18. This activity has been submitted to Michigan Nurses Association for approval to award 6 contact hours. The Michigan Nurses Association is an approver of continuing nursing education by the State of Michigan Board of Nursing. 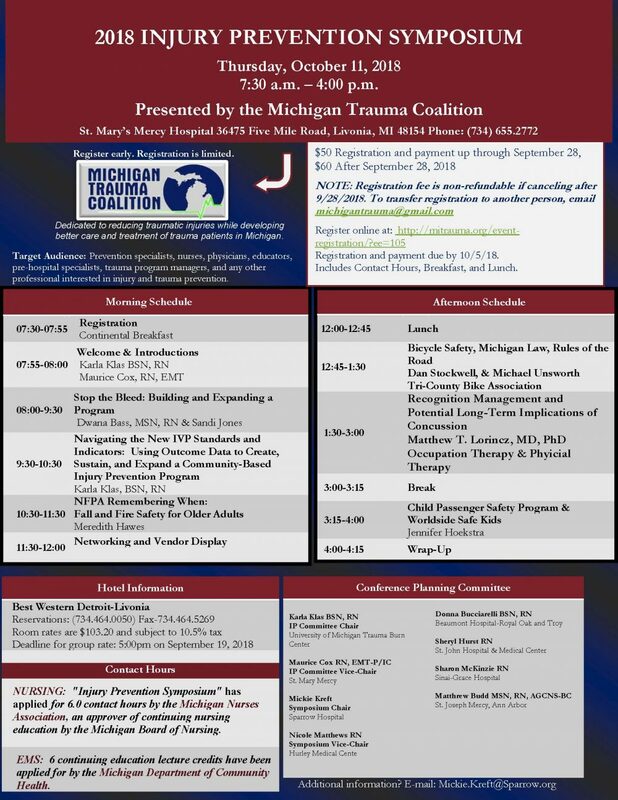 EMS: 6 continuing education lecture credits have been applied for by the Michigan Department of Community Health. Questions? E-mail michigantrauma@gmail.com or Mickie Kreft, mickie.kreft@sparrow.org.